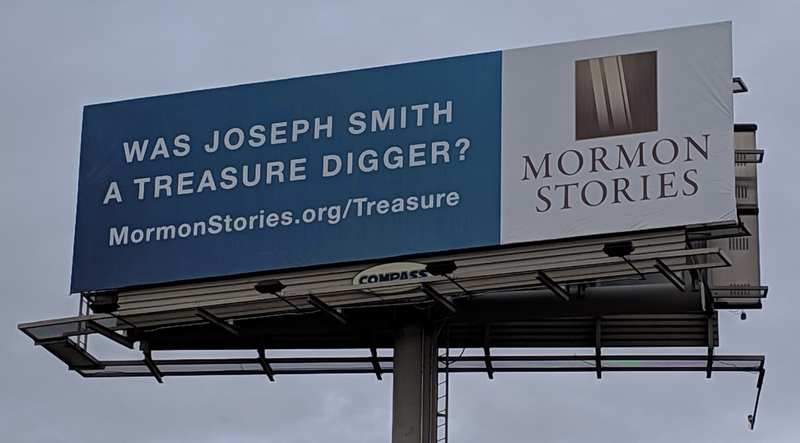 For 2019 we are raising support for the Mormon Stories “Truth Claims” Billboard Campaign. Here’s how it will work. Every month we plan to release a new essay and podcast on http://mormonstories.org/truth-claims, that will address one of the major Mormon Truth Claims. Example topics includes: Joseph Smith’s treasure digging, Book of Mormon, Book of Abraham, Mormon Temple Ceremony and Masonry, Race and Skin Color, Women and the LDS church, LGBT issues and the LDS church, etc. Each month we will release a new billboard along the I-15 corridor advertising the new essay/podcast episode. Billboards along I-15 cost $5,800/month, so the total cost for a year’s worth of billboards will be $70,000. $20,000 has already been donated by a generous donor. Please donate! 100% of your investment will go into keeping our billboard campaign alive. Thank you!